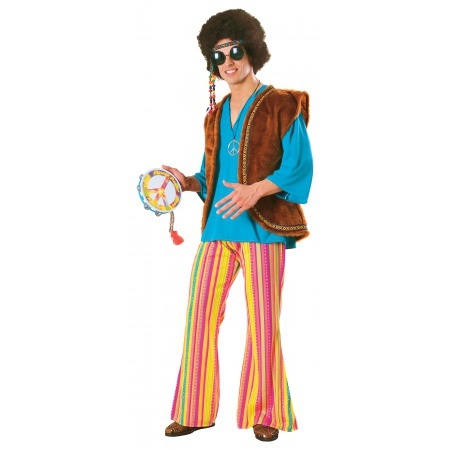 This groovy mens hippie costume includes a shirt with attached vest and colorful striped bell-bottom pants. 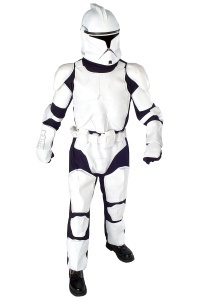 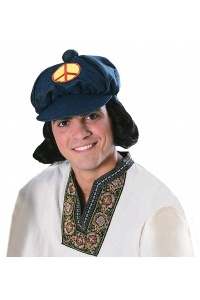 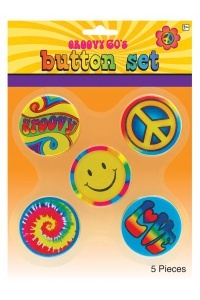 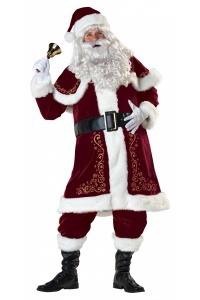 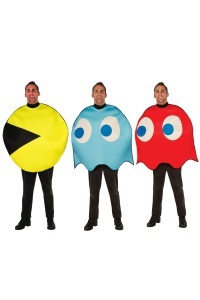 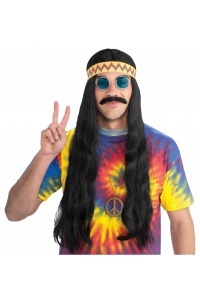 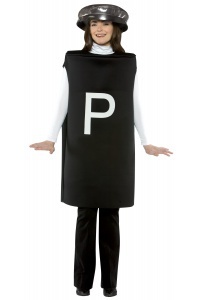 This mens hippie costume comes in adult sizes Standard, X-Large. 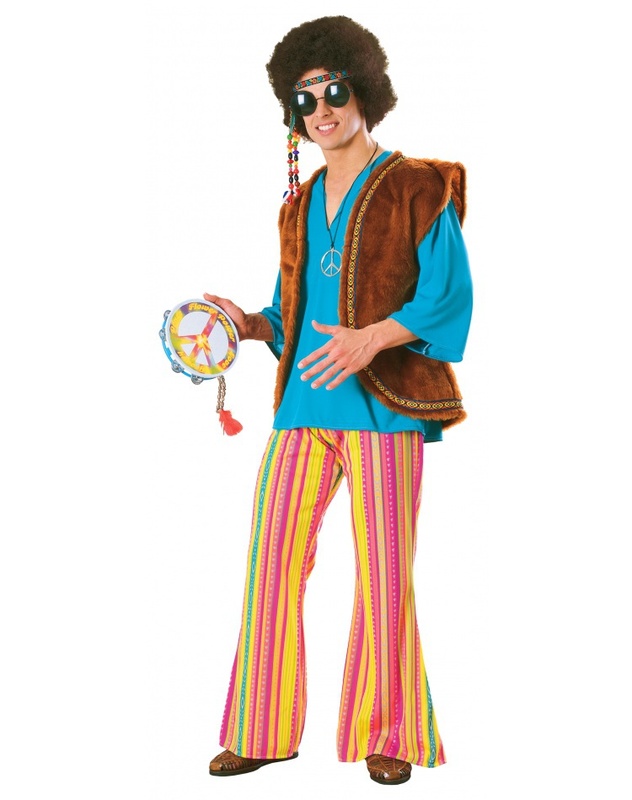 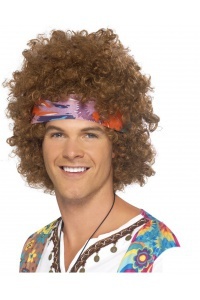 The tambourine, glasses and wig are not included with this fun 60s costume for men.